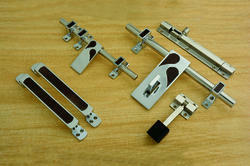 Leading Manufacturer of designer door catcher, steel mataki knob tt and decorative zinc door kit skv - 02 from Rajkot. In tune with the latest developments of market, we are engaged in offering optimum quality Designer Door Catcher. The offered door catcher is well designed with finest quality material and modular technology keeping in mind the latest designs of market. This door catcher is completely checked from our end on number of parameters by excellent quality controllers for delivering the flawless range at customer’s end. 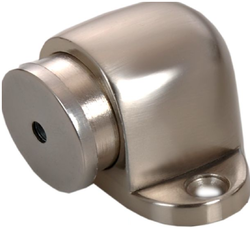 We are one of the largest manufacturers of Steel Mataki Knob TT and we have a wide range of products and able to fullfill the customized requirement of our customer.